The Compass and the Nail: How the Patagonia model of loyalty can save your business, and might just save the planet. The Compass and the Nail presents an unconventional perspective of how particular organizations create rabid fan bases, in turn, making them more successful and more profitable. Written by Patagonia’s former lead strategist for consumer marketing, and advisor to such iconic brands as Seventh Generation and Burton Snowboards, Craig Wilson outlines game changing insights for providers of any product or service who desire fiercely loyal behavior. Wilson’s narrative is one of cultural empathy and thought disruption critical to the new global economy. It is a practical model that defines how companies, governments, and institutions relate to their end users. By illuminating the phenomenon of “following,” and how it can be methodically applied to a larger context, this book demonstrates how those relationships can be refashioned to optimize human interactive experience. It challenges us to use our economic powers for good to design the new “Responsible Economy” in an effort to save the planet. If companies realize consumers “don’t buy what you do, they buy why you do it,” Wilson shows us how. Acclaim for the author, the model, the book. The 800-CEO-READ Business Book Awards recognize the best of the best business books with the potential to promote change and enlighten the way people think about business. "In essence, Craig is an alchemist - During his time with us at prAna, I watched him gather up the fragments of our good intentions and create a formula and a strategy to help us deeply connect with our conscious consumers. His work is the foundation for our thriving direct to consumer business." "I’ve had a front row seat to Craig’s journey toward building a deeper understanding of customer loyalty. Together we implemented his process at three different organizations, all to great success. His latest innovation of using the Activation Cycle as the road map to running a globally responsible company takes his process to an entirely different level, and gives socially and environmentally minded business leaders an effective tool in building a better planet." "A savvy analysis of how particular organizations create fierce loyalty. The book's utility is what separates it from NPS (net promoter score and system). Wilson's model emerges as the de facto how-to, very nearly an organizational self-help manifesto, whether for start-ups, SMBs, large organizations, or governments, in need of optimization." "The world runs on predictable patterns and cycles which are rooted in psychology. Craig's breadth and depth of experience culminate in this book, providing actionable insights for brands in being able to communicate with the brains of their most loyal customers in a principled way." If you're looking for a book that will flip everything you think you know upside down, this is it. 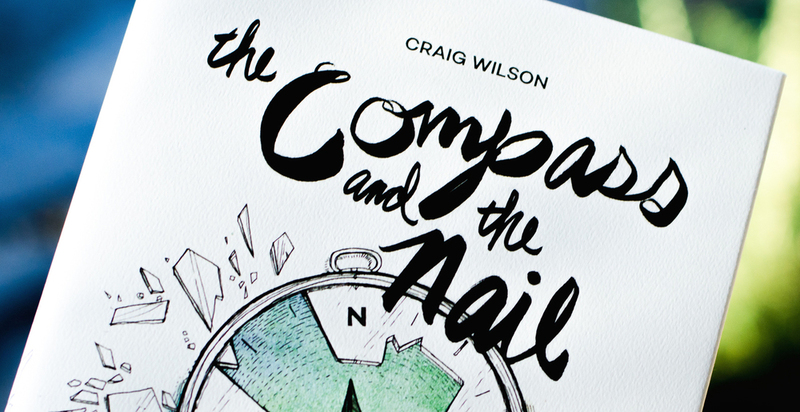 Asked at the Ernst and Young Strategic Growth Forum what was the one book you would recommend reading this year, Jennifer Morgan suggested The Compass and the Nail.